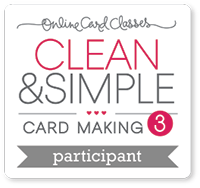 Clean and Simple Card Making 3 is the latest class from on Line Card Classes, and like so many others right now I am a student. So I am sharing my first card today from Day 1 Faux Effects and more specifically using Debbie Hughes faux layered die cuts. I received my new Lawn Fawn goodies on Monday and broke out the dies to make a spring card. It was spring here today with the temperature up to 9 C (48 F), the birds were chirping, spring coat on and so fun watching the boys across the road jumping the still pretty big snowbank on their driveway with their bikes in T-shirts. Tonight though we bare down for another winter storm and temperatures to drop down to -18 C overnight and 10 - 15 cm of new snow. I love this Tracey, great technique and I love the colours. I didn't sign up for this card class, I think I might have to join in now. Your card is so cute, makes me smile. I love the details on the Fawn Lawn dies...feel some shopping coming on! 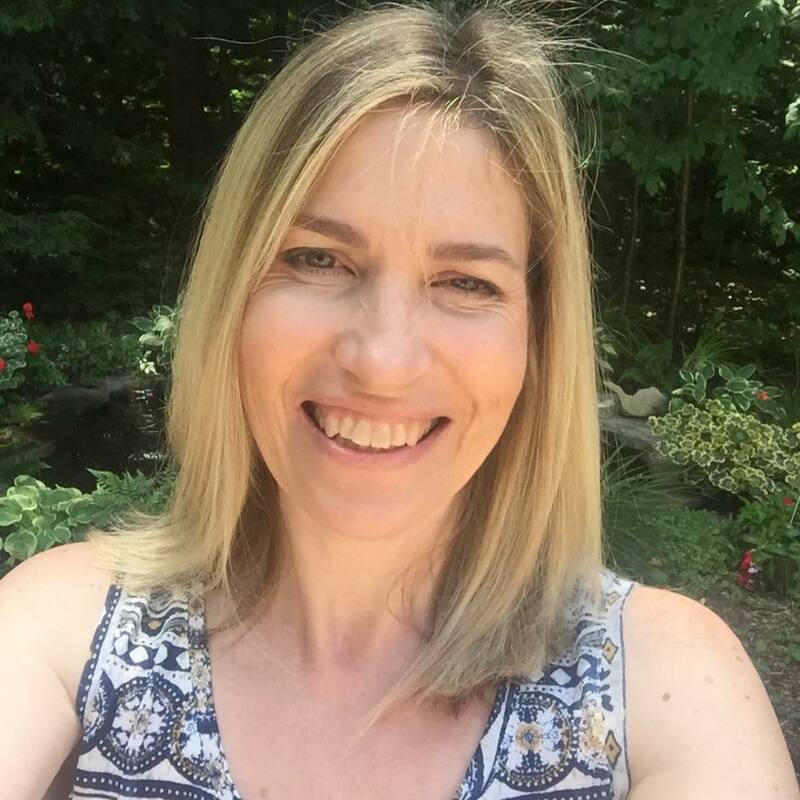 Tracey, this is absolutely amazing...love, love, love your card! Tracey, I've been staring at this card in the gallery, and didn't realise it was you (I didn't read the name, just admired the card)! I decided that I HAD to come by and say how much I love it! I laughed out loud at the thought of kids in t-shirts at 9C! Our daytime temps in the middle of Winter rarely are that low, and when they are, everyone is rugged up, lol! oh i love how you layered the dies.. looks awesome.. great card.. I love this, Tracey!! Fabulously bold and bright and the inlaid dies look awesome! Can't believe you guys are getting MORE snow!! This weather is insane!! Such a cute card Tracey. I was just thinking to myself, I really need to try that die cutting a die cut technique. And thanks for the encouragement! Really love how you worked all THREE dies here (I was only thinking of going for two, you over-achiever!!) Looks great! This is absolutely adorable! I love the layered inlays! Love, love, love this card!! Colors are great, love that it is mailable!! It is just too fantastic!! 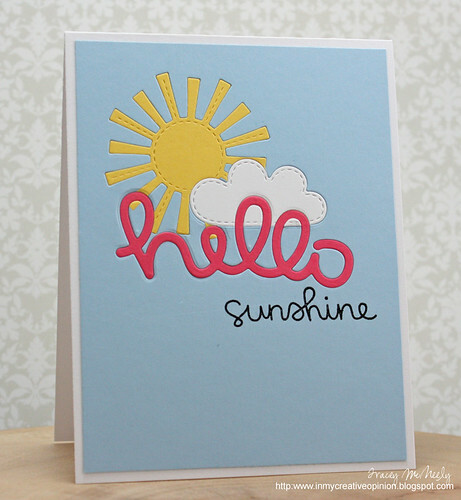 I loved visiting your blog - I came across it from the Moxie Fab Blog Roll! I am on there too #1536 Taunya Butler or daisiesgirl.com! Would you consider coming by for a little look and visit? I would so dearly love it!! Gorgeous - so fun and colorful!! This is fabulous. Wonderful use of new stamps and dies, and the perfect cure for the winter blues. 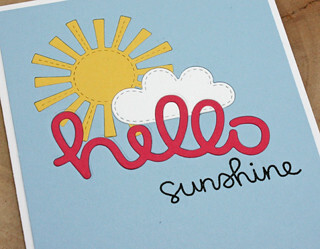 This card just SCREAMS happiness and sunshine. Love your spring card. Great technique. This card is AMAZING Tracey! And the bold colors are perfect. This is such a fun technique. I'm taking the class too and I made my card last night. I discovered quickly that making sure I know where all the little pieces are is soooo important!! Love those die cuts and your sweet card!!! I really love your in-laid die cuts, Tracey! These new Lawn Fawn dies are perfect to create your sunny 'scene'!!! Wow, love the colors! The inlaid die cuts look awesome--perfect for the technique! So lovely! This is such a pretty design and a great technique. What an adorable little scene you created...I love it and can't wait to get a chance to try this out too. Gorgeous card, Tracey! The pop of pink was a great idea! Very happy card...love it! Surprise Birthday Party for Maria!